I am planning on initiating a new game on ASDF. Edit: I have already initiated it. The title of the new game is 'The Pyramid game". i am excited to check it out, and likely even play it! Interesting is, how exactly you felt, when you read the thing, a part of which is the following:. Froggychum is Quintillion times more open-minded than Trump. i felt like that, as well as loved and grateful! In future, how often will you visit ASDF, Froggychum? I hope you will still visit it every day. I am asking you because I want to make sure that I will go on seeing you on ASDF so frequently! I like everyone who likes me. Innocent until the opposite gets proved - that is how everyone should be considered! I'm disappointed by the low activity of the ASDF Games section, which I observe on the long run (it becomes high occasionally. I have found recently a forum with a very active Games section. Fun fact: the forum anniversary of Froggychum on ASDF and the forum anniversary of Ivokyuftaf6666 on the other good forum besides ASDF, are on consecutive days. Fun fact: the forum anniversary of Froggychum on ASDF and the forum anniversary of Ivokyuftaf6666 on the other good forum besides ASDF, are on consecutive days. 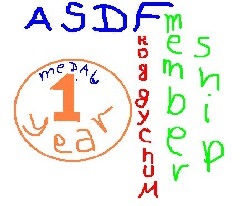 I registered there just one day befoe his forum annniversary on ASDf, and i still wonder how I couldn`t wait for one more day to register there. i wish you luck on the other forums Ivo, spread your wings!